How many degrees do we need? Everything moves in 6 degrees of freedom. 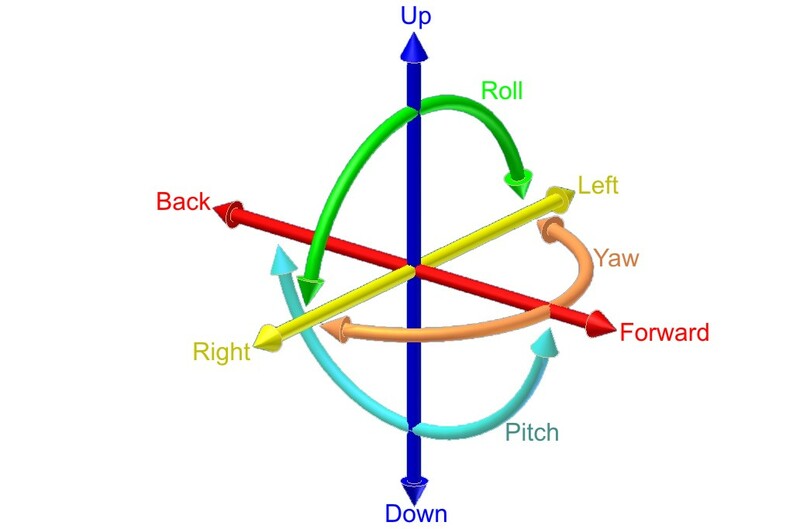 You can move something in three dimensions and rotate it on three axis, hence the SIX degrees of movement. Now ideally you would be able to mimic all six and you’d have the perfect simulator. Or would you? Even the $6m+ simulators used by the major airlines and air forces in the world CANNOT recreate all the ranges of motion. It is just impossible. Sure, they might be able to go up 3m in a second and hit you with 5g but then they have to come back down. They can’t go up 4m or even 3.05m, they’re limited. Now if we accept these limitations and accept them we should be able to concentrate on what is ‘cheap’ to simulate and let our brains (and the rift) fill in the cracks. A rocking chair is a ‘cheap’ 1DOF simulator, the mass of the user is near the center of gravity of the chair so it’s easy to move. Move them up and they’ll be in danger of rocking over, too low and the chair hardly moves. If the bottom of this rocking chair was two full circles, then the user could (if they were strapped in) roll all the way over quite easily. Rotating a body placed near the center of gravity is quite cheap in terms of energy. The ring man is the perfect example, he turns forever with very little energy put into his movement, just like a rocking chair or swing. Next PostDon’t we need up/down, left/right, forward/back?